As the end of the year approaches, it’s always nice to reflect. For DENC, 2016 was filled with many milestones toward achieving widespread EV adoption in our community! From Group Buy programs to hosting the largest EV rally in Colorado history, we engaged with the community, EV owners, and businesses alike. We are excited to share with you our five favorite moments of 2016. We kicked off the year in the same way we ended 2015 – with a group buy! After popular demand following the late 2015 program, we launched not one, but two group buys this year! The early spring program featured group buy discounts on both the BMW i3 and the Nissan LEAF, as well as special pricing for fleets. The second group buy is actually still in progress, with 4 days left until the December 31st deadline! The current group buy has the LEAF priced at $11,840 with a free Level 2 charger included. Additionally, the two employers with the most employee or fleet purchases will win free charging stations for their workplace. 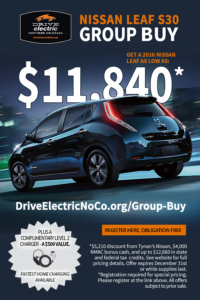 In another effort to bring even more affordable EV options to Northern Colorado residents, DENC also initiated a summer pricing program that went through August 31st. 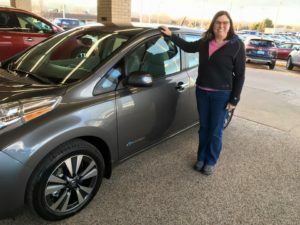 A number of EV models were part of this program, with deals on the Nissan LEAF, Chevy Volt, BMW i3, BMW X5, Ford Fusion Energi, and Ford C-Max Energi. DENC and its parent organizations played an integral role in passing the latest State of Colorado EV tax credit, which will take effect January 1, 2017. Instead of a fluctuating credit based on a number of factors, all EV purchasers in Colorado will have access to a flat $5,000 point-of-purchase credit beginning on the 1st. This credit will last until 2019, when it will begin phasing out over a couple of years. Read about it by clicking here. DENC focused on larger Ride and Drives this year, putting 250 people behind the wheel of EVs at our events. 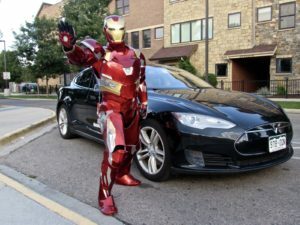 Some of these events included collaborations with our partners, such as HP, City of Fort Collins, Centerra, and more; Fort Collins Comic Con; and our largest event of the year, the NoCo Mini Maker Faire! You can see some of our favorite event photos in this blog post. 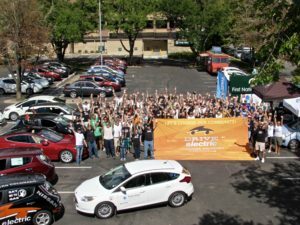 Northern Colorado proved itself to be a leader in EV adoption with its impressive showing at DENC’s EV Rally in September for National Drive Electric Week. With 83 EVs in attendance, DENC and its incredible community of EV owners set the record for the largest EV rally in Colorado history! After the rally, all of the vehicles hit the roads in Old Town for a demonstration of successful regional EV adoption. DENC now has over 21 (and counting!) 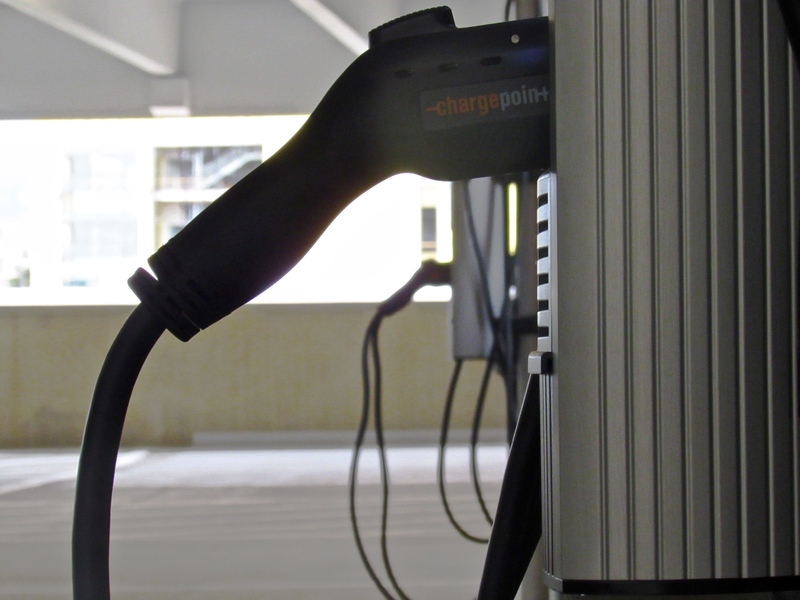 workplace charging partners that offer charging at their businesses, be it for public or employee use. This year, we have seen partner additions with the Rocky Mountain Innosphere and Thompson School District, with other partnerships in the works! These partners also play a huge part in spreading the word about EVs through their own networks. Thank you so much to all of our partners, EV owners, enthusiasts, and supporters for making 2016 another successful year for EV adoption, support, and infrastructure in Northern Colorado!